Fuel cells could be one of the our cleanest energy sources; they convert hydrogen into electricity, and their only waste byproduct is water. One of the biggest things holding back the technology, however, is the problem that fuel cells require expensive rare earth metals like platinum. Now a team of international researchers at the Paul Scherrer Institute is developing a new aerogel-based fuel cell that’s five times more efficient than conventional fuel cells, and it uses a bare minimum of rare earth metals. Typically a fuel cell works by combining oxygen with hydrogen in a chemical bonding process that creates free electrons to power the vehicle, and leaves water coming out of the tail pipe as the only waste material. This reaction happens regularly in nature, but it goes extremely slowly, so a fuel cell needs a catalyst to kick start the chemical reaction and make it all go faster. In these conventional cells, the catalyst is made of a rare metal such as platinum. 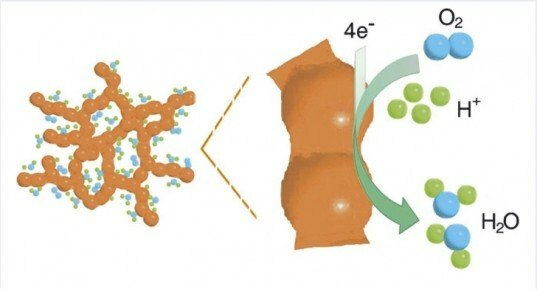 On top of being scarce and expensive, this catalytic material also needs to be built on top of a high surface area carbon, which is corrosive and can shorten the lifespan of the fuel cell. A team of researchers at PSI and Dresden University overcame these obstacles by replacing the carbon with a three dimensional aerogel block. When combined with a platinum palladium alloy, the scientists discovered that the new material increased the efficiency of a regular fuel cell by five times. 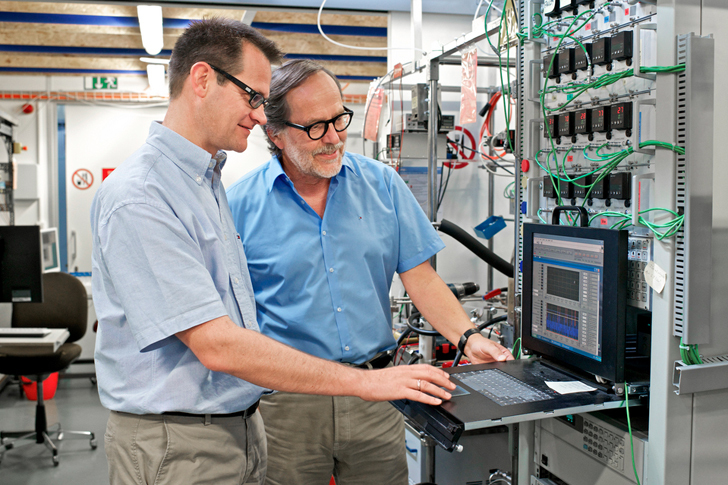 This opens up the possibility of creating a new fuel cell using just one-fifth of the the necessary platinum – reducing the costs and environmental impact of the fuel cell. The scientists theorize that the aerogel material works so well because of it’s own inherent qualities as a nano-structured foam. So far, the aerogel material has proven itself and even passed long-term tests in the lab simulating the conditions of an operating vehicle. The scientists meanwhile want to take a closer study at their aerogel block, particularly to investigate the stability that might come with a bimetal material, in a three year study they currently are drafting and proposing for funding now. Fuel cells could be one of the our cleanest energy sources; they convert hydrogen into electricity, and their only waste byproduct is water. One of the biggest things holding back the technology, however, is the problem that fuel cells require expensive rare earth metals like platinum. Now a team of international researchers at the Paul Scherrer Institute is developing a new aerogel-based fuel cell that's five times more efficient than conventional fuel cells, and it uses a bare minimum of rare earth metals. Each oxygen atom from the oxygen molecules fed into the cell captures two electrons, which is followed by the reaction with hydrogen nuclei to form water.